The University of California Police Department at Berkeley employs community policing strategies to prevent crime on and around campus properties. A secure environment is made possible through community involvement in crime prevention. The purpose of community crime prevention is simple: to help you recognize your own vulnerability to crime, and reduce your risk by taking preventive action and cooperation with the police. This means your informed participation is crucial. 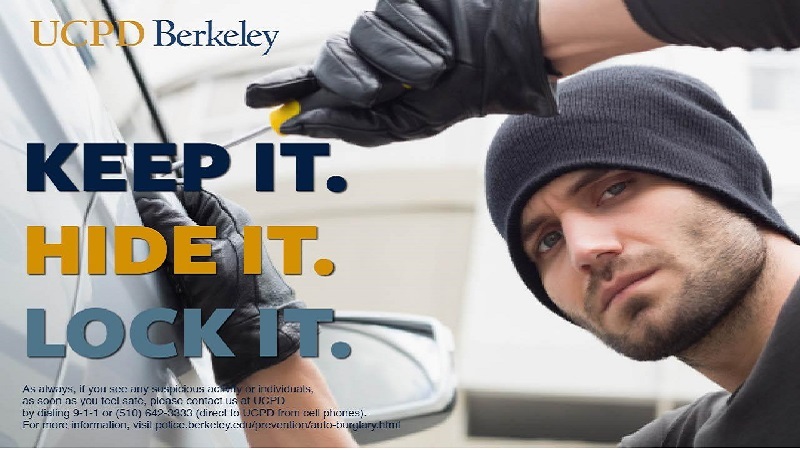 As a member of the UC Berkeley community, you can help contribute to the safety of your Bear Territory by learning what you can personally do to keep things safe for yourself and others, how to report instances of crime or dangerous occurences, and the best ways to secure your property when on campus. Email police@berkeley.edu if you have any questions about our outreach efforts, programs, or services.